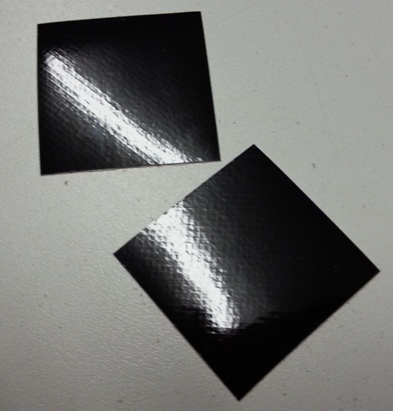 3M Black Scotchlite Reflective Squares meet state regulations for helmets. Almost invisible on your helmet during the day, but lights up bright silver when illuminated by headlights. Make yourself more visible and ride safe without changing the way your black helmet looks. Works great on Matte or Gloss black helmets. 2 reflective squares per package, priced per pair.